You could say that Scott Bakula is a superstitious guy. Not black-cat-and-broken-mirrors superstitious, but definitely a believer in jinxes. So when the cast and crew of NCIS: New Orleans started filming the series' 100th episode in early September, he refused any sort of group celebration until production was complete. "It was blowing up through the Gulf," he recalls a few days later while sitting at a table in a deserted New Orleans hotel banquet hall. "I kept saying, 'This is going to destroy the 100th episode, and we’re going to have to relocate.' We shouldn’t have been talking about it!" And though 12 million people witnessed an assassination attempt on the NCIS boss in May’s Season 4 finale, Pride lives to see changes within the organization. Indeed, the ruggedly handsome actor, who turns 64 this month, believes the series is just now reaching its creative stride. "This is a good measure to say 'Where are we? Are we failing?' I don’t feel like we are," Bakula notes. "All the character development has got everyone around here excited. We have a ton of creative energy." What’s three bullets to the chest, anyway, to a man who has already been falsely accused of and indicted for abuse of power (he was cleared), who holds the second-highest arrest record in the history of the Jefferson Parish Sheriff’s Office and who once faked his own death in an explosion? "The line in the premiere is 'Anybody else wouldn’t have made it through the night,'" says Bakula with a wry smile. Also, learn about the other challenges that lay ahead for the team. 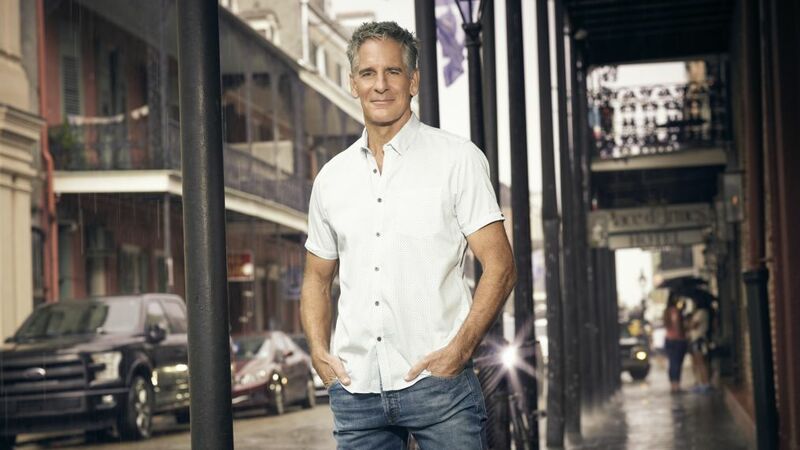 He also receives concerned bedside visits from girlfriend Rita Deveraux (Bakula’s wife of nine years, Chelsea Field) and college-age daughter Laurel (Shanley Caswell), who later implores him to take it easy in the Big Easy. He won’t. "That’s just how he’s wired," Bakula says. "The city means everything to him, and he cares about everyone. It’s more important to him than his own life. It’s extreme, but it’s true." Executive producer Christopher Silber has a more reflective spin: "Being shot will have a huge effect on Pride physically and psychologically. What he’s going through gives him an opportunity to change." To that end, the series jumps eight weeks forward with the October 2 episode, allowing Pride some recovery time. He takes a buttoned-up corporate job as the special agent in charge of the southeast region — he wears a suit and everything. "He will be overseeing not only his team," Silber explains, "but several other teams." While Pride tries to adapt to a desk job, his team copes with the emotional fallout of their leader going down and then moving up. Says Bakula, "Everyone bounces off what happened to Pride to examine who they are." Loretta Wade (CCH Pounder), for one, is "very concerned and plays a big part in sorting him out," he notes of the coroner, and forensic expert Sebastian Lund (Rob Kerkovich) "is trying to grow up. He shows up in a suit with house keys — and it backfires." Pride has a new role at the NCIS Southeast Field Office, and he's not going to be tackling his new duties alone! Patton Plame (Daryl "Chill" Mitchell), the team’s computer pro, "stays positive." Hard-nosed Tammy Gregorio (Vanessa Ferlito) keeps the status quo, and fellow special agent Christopher Lasalle (Lucas Black), last seen heading to Alabama to sort out problems with his family’s money, tangles with the IRS. Of course, it takes a special person to fill in for Pride in the field office, and her name is Hannah Khoury. 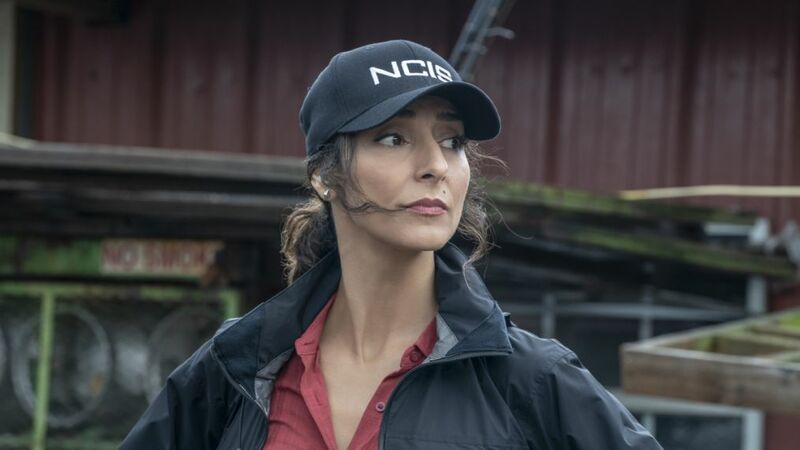 Played by Necar Zadegan (24, Girlfriends’ Guide to Divorce), she speaks six languages and spent 15 years traveling to hot spots around the world. "She’s charismatic and very likable," says Bakula — and naturally, she has a few personal skeletons in her closet. Perhaps the most vital character of all is one that has appeared in nearly every scene since 2014. New Orleans may not have the urban grit of New York City or the breezy beaches of Los Angeles, but its sights and sounds are unmistakable. This is an abbreviated version of TV Guide Magazine's latest cover story. For more from our conversation with Bakula about NCIS: New Orleans and more, pick up the latest issue, on newsstands Thursday, September 27.